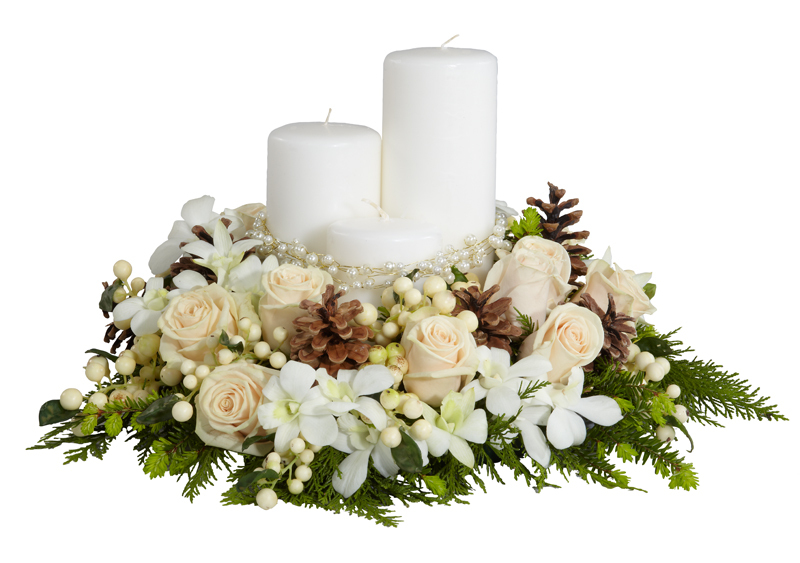 Although I am a big fan of traditional Christmas decorations, as a florist I love being able to showcase the artistic ability of flowers. 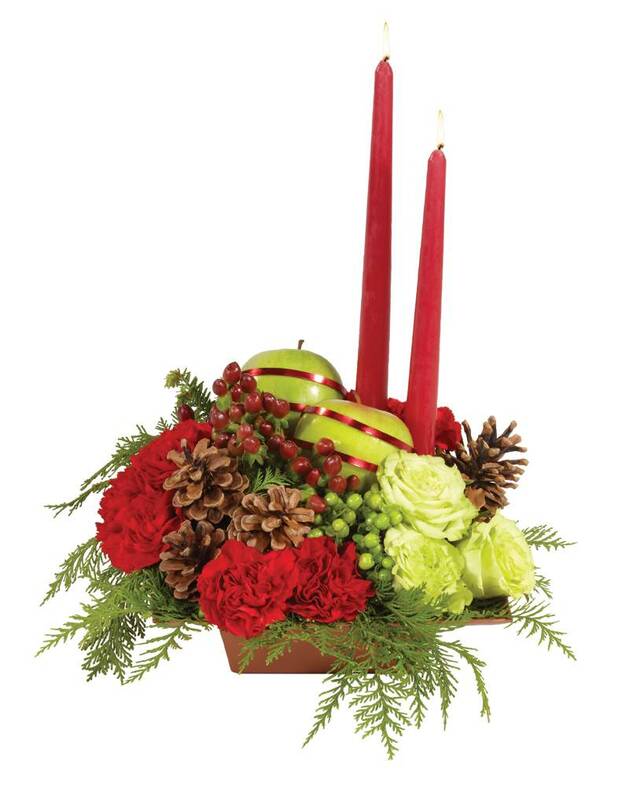 You don’t have to be ultra modern yourself to use a Christmas centerpiece that has a little bit more interest & personality than the old standby. 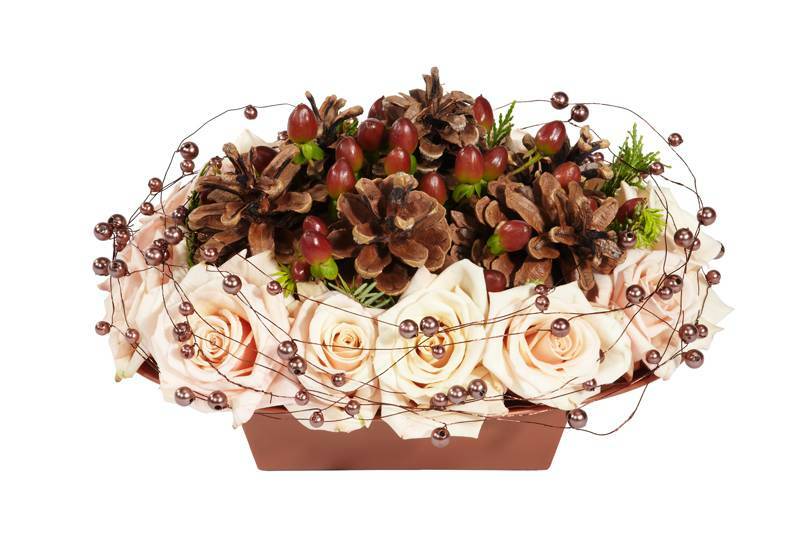 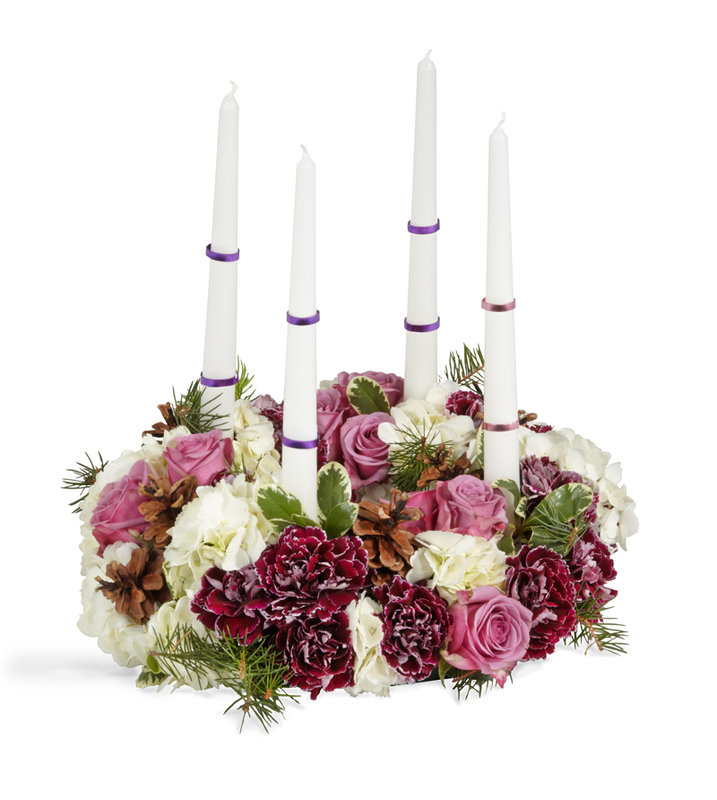 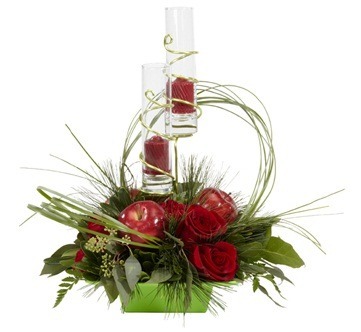 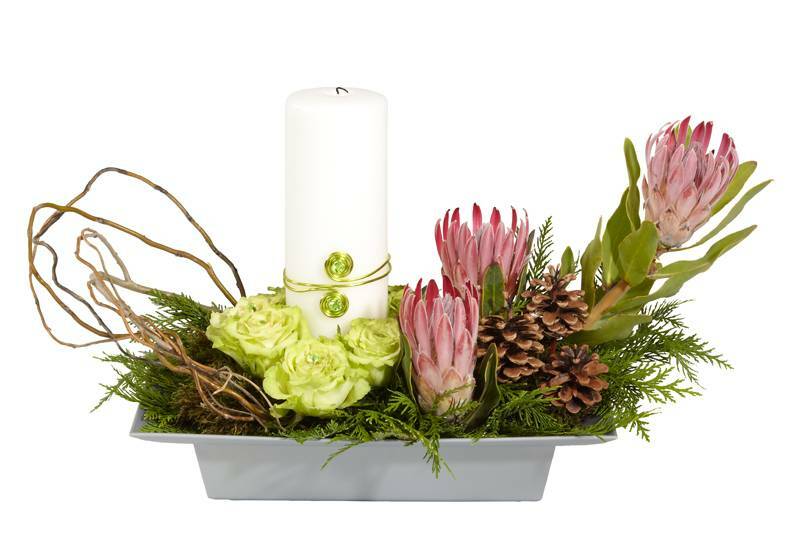 These centerpieces below would work in a variety of settings and would be a great conversation starter at the table.